In today’s episode, I want to answer a question I get regularly from listeners: How do you relaunch a blog that has died or become dormant? I want to talk you through two scenarios for relaunching a blog, and give you 11 things to consider during a relaunch. Before I get into today’s show though, a couple of things. Firstly, this week on 7th February we’ve got our first ever International Start a Blog Day. For those of you enrolled in our Start a Blog Course, keep working on your launch. And secondly, coming up in March we have our brand new course – 31 Days to Build a Better Blog. This is a perfect course for anyone in their first month of blogging, anyone relaunching a blog, or anyone who is blogging and just wants to give their blog a bit of a kick start. It’s a brilliant month of learning, but more importantly doing small things every day to improve your blog. Whether you do the tasks daily or tackle the course slower, it’ll give your blog a boost. Register your interest in the course at problogger.com/31days and we’ll send you an email when it launches with a special early bird discount. Good morning and welcome to episode 234 of the ProBlogger podcast. My name is Darren Rowse and I’m the blogger behind problogger.com, a blog, podcast, event, job board, series of ebooks, and courses, all designed to help you as a blogger to start a great blog, to create great content on that blog that’s gonna change your reader’s lives, to find new readers for your blog, and to build profit around your blog as well. You can learn more about what we do ProBlogger at problogger.com. You can also dig into previous episodes of the show and thousands of tutorials that we’ve published over the years. In today’s episode, episode 234, I wanna answer a question I get regularly from readers. How do you relaunch a blog that’s previously died or become dormant? I wanna talk you through two scenarios for relaunching your blog and give you 11 things to consider during the relaunch, 11 questions to ask yourself that will help you to relaunch with your best foot forward. Before I get into today’s show, I want to mention two things. Firstly, this week, on the 7th of February, we’ve got our first ever International Start a Blog Day. For those of you who have previously enrolled in our Start a Blog course, keep working on your launch and look out for emails from us of details on how to participate in that. If you already have a blog and you wanna check out some amazing new blogs, watch out on problogger.com on the 7th of February and you’ll see a massive list of some amazing new blogs. If you follow us on our Facebook page, facebook.com/problogger, I will also be featuring some of the new blogs on that day and some live videos. The other thing to mention is that coming up in March, we have a brand new course, 31 Days to Build a Better Blog, which has previously been an ebook and a series of blog posts, and a series of podcasts as well. We’ve updated it all and we’ve put it together in a course format. For anyone who is in the first month of blogging, maybe you’ve just done that Start a Blog course or anyone who is relaunching a dormant blog, this would be perfect for you and anyone who’s been blogging for a while who just wants to give their blog a bit of a kickstart, maybe it’s that time of the year and you wanna get things going again, this is a brilliant course that’s really going to walk you through over a month or you can take it slow if you want to, some teaching, and more importantly doing some small things everyday to improve your blog. Time and time again, I hear from people who’ve done this course and they’ve stuck it out through to the end. Previously, they’ve done it as ebooks, they’ve said that it really has given them a boost. The most important thing is not the learning, it’s the doing, it’s the implementing the small things that we suggest everyday. If that sounds like it’s gonna float your boat and improve your blog, check out problogger.com/31days and you’ll be forwarded there to an outline of the course and also a place where you can register your interests and we’ll let you know when the course goes live. We’ll also send you a special early bird discount as well. If you are listening to this sometime in the future and it’s already live, you’ll already be able to sign up there at problogger.com/31days and get involved in that course. Today’s show notes are at problogger.com/podcast/234 and with all that said, I’m gonna get into today’s show. Last week, I was asked by a reader of ProBlogger for advice on how to relaunch their blog, which had become dormant for the last year. They’ve had 12 months off blogging. They’ve had to take a break from blogging, blogging had to take a backseat I guess, while other things in their life or their family took priority. They have some really good reasons for putting their blog on hold for that 12 months. But now things had settled down at home, they wanted to get back into blogging again. This is something that many of us bloggers have to deal with at different times. There’s been times where I’ve put my blogs on hold, not ProBlogger and Digital Photography School but I’ve had other blogs that have been on hold and one day, I may need to relaunch them. This is something I thought through numerous times for myself but also in talking other bloggers through as well. Maybe the reason your blog has become dormant is a family reason, or a health crisis that you just have to put things on hold for a while, maybe it’s because you’ve lost motivation or passion to keep the blog going, maybe you’ve become disillusioned, or distracted, maybe things just haven’t quite worked and so you’ve put things on hold for a period of time. No matter what the reason, many blogs tend to have this period where they at least slow down or become completely dormant. In today’s show, what I wanna do is give you some advice on bringing those old blogs back to life. The first thing that I wanna say, and really this is so important, is to assess the current state of play, to actually do some thinking about where things are at for you at the moment. Of course, there’s no one piece of advice that I can give you here, but I think really, if you do this first step of assessing the current state of play, assessing how you are and how your blog is, it’s going to help you to determine what to do next. What I wanna suggest you do is answer a few questions and these will all be in the transcript of today’s show. The first three questions are about you. The first question I want you to ask is why did the blog become dormant? Why did you stop blogging? Understanding this is gonna help you to guard against that thing happening again. Maybe it was you become disillusioned, maybe there’s health stuff going on. The answer doesn’t really matter but understanding why the blog became dormant is actually important because it’s gonna help you to guard against that happening again. The second question is what are your dreams and goals for the blog? I think it’s really important to go back to this because you probably started your blog with certain objectives, certain goals, certain dreams, certain things that you thought might happen but the reality is that it may have changed for you. What were your goals and dreams and what are they now? Actually getting back to your why is really important because it will shape what you do and you’ll probably find your why will be a little bit more realistic the second time. It possibly has evolved a bit. What is your dream? What is your goal for the blog? And thirdly, do you still want the blog to have the same topic or focus? You may just think this blog was great, I loved it, but life got in the way and I just wanna start again doing what I was doing. That’s fine, but maybe you wanna tweak things a little bit. We’re gonna talk a little bit more about pivoting your blog later but I think it’s really important to begin to ask those questions and you probably already got the answers to those in your mind. The second group of questions are about the blog itself. The questions that you might wanna consider, I’ve got five for you. How long has it been since the blog was active? That is going to determine how you’ll relaunch it. If it’s only been month, you can probably get back to blogging pretty quickly. But if it’s been 12 months, or it’s been two years, or five years. I talked to one blogger recently who had a blog five years ago and they wanna relaunch it. The strategies that you use are probably going to be different. If your blog has been dormant for five years, you’re probably gonna wanna do some redesign, you’re probably gonna wanna update archives, you might wanna completely change tech. But if it’s only been a month, you can probably get back to it a little bit faster. How long has it been since the blog was active? How much traffic does the blog still have? Actually, dig into your Google Analytics account. If you haven’t got a Google analytics account, install it, and work out if you still have any traffic. I was looking at one of my old blogs the other day and I realized it was still getting a thousand visitors a day and they were all coming in from Google. Is it getting traffic? Where is the traffic coming from? Is it coming in from the search engines? Is it coming in from social media? Is it coming in from other sites? Maybe you’ve got some links coming in from other sites as well. Do you have traffic? How much traffic? Where is the traffic coming from and where is it going to? This is really important. Do you have a post or a page on your blog that’s still performing really well? I talked to a lot of bloggers who have dormant blogs and they tell me that they’ve just got the one post in their archives that’s going really well. Understanding what that post is or what that page is can really help as you think about moving forward because that page might be a good starting place to do some analysis, to do some updating, and to think about the leveraging in someway. Think about the traffic but maybe you don’t have any traffic at all and so you can skip through that one, but digging into that is important. Social media is another thing to ask. Do you have social media accounts set up? How many followers are on those accounts? Where was the action previously for you in terms of social media? You can ask the same question about email subscribers. How many email subscribers does it have? Is it still getting fresh email subscribers or are they all very old, you know, years ago kind of subscribers? Understanding a little bit about the health of your social media and email subscribers is important. Are they warm? Have automated things been happening to keep those subscribers and followers warm and connected with you or are they completely cold? That’s going to shape your strategy for warming up your list again. I guess the last question to ask about your blog is if your blog topic or focus is changing. I’m getting to this a little bit more. Is the current domain still relevant? That’s just another question to ponder now. I’ll talk a little bit about that later. We’ve asked questions about you, we’ve asked questions about your blog, and it’s probably also worth doing a little bit of analysis on the niche that you’re in as well. Some questions about your niche. What’s the current state of play in the niche that you’re operating in? If it’s been a couple of years since you blogged, you might wanna do a bit of a dig around to find out what other people are doing in your niche. Who are the big players? Who are the big bloggers? Who are the big social media influencers? What are other bloggers mainly doing at the moment? Have they changed tech? Are they using different types of mediums? Are they all in podcasts now? Are they all on video? Where is the action happening for them in terms of social media? Doing some digging there can actually help you to work out where you should be doing things as well. Not that you wanna just copy what everyone else is doing, maybe you actually spot some gaps in what they’re not doing, some opportunities that you could do, but they also would give you some hints to where is the most logical place for you to be engaging in terms of social media. Are there any other emerging trends in the niche or industry that you could latch onto? In the photography space for example, over the last four, five years, we’ve seen the emergence of new types of cameras, of drone photography. If I was relaunching my photography blog today, one thing that I might do would be to have a blog that really focuses on the new types of cameras, the new types of technologies, drone photography for example, mobile phone photography because things have changed over the years. Understanding how your industry, your niche has changed is really important as well. Hopefully, in asking some of these questions about you, your blog, your niche, you begin to hopefully get a bit of an understanding for a few things about your relaunch. Hopefully, one of two scenarios is probably emerging. I wanna talk about these two scenarios. Most of the times, I see people relaunching, they end up doing one of two things. First scenario, maybe as you’re pondering these questions, you will realize that you were already on the right track with your blog and you just needed to get back to it. Your blog was doing well and maybe the reason you stopped was health reason, or an emergency, or something just interrupted you and it was relatively healthy and you just wanna get back to it. This is obviously the most easy scenario but there’s a few pieces of advice that I would really want to encourage you to consider if that’s you. You just wanna get back to blogging, well there’s a couple of things that I would like to encourage you to really focus upon. Firstly, pay attention to the content you’ve already published that’s still working for you or that has worked in the past. One of the things that you can really shortcut the growth of your blog again is to really pay attention to that type of content. As I mentioned before, you possibly already got a post that is still getting traffic. I would be starting with those posts and maybe updating them, maybe republishing them. Put a new date on them as long as the URL doesn’t change. Put them back up as fresh content on your blog in someway. If it’s something that’s already working for you in someway, update it and leverage it to get some new subscribers.Write some follow up content on those topics. Repurpose it perhaps in a different medium. You might wanna take the written basic content and do a video, or an audio post, and really pay attention to those pieces of content that are already working. Also, think about are there ways that you could expand upon them. I guess, do similar types of things. If you’ve got a category that’s really working for you, maybe focus more upon that category because there’s obviously still interests in that category if it’s still getting traffic to it. Pay attention to your archives. Just don’t start writing new content all the time. Actually, I think one of the emerging trends I’ve noticed in a lot of bloggers recently is that they’re paying as much attention to their archives as they are to new content. Go into your relaunch maybe writing some new content but also updating your archives, maybe every second piece of content that you published, maybe you should be doing a new one and then updating something old and then a new one and then updating something old. The second thing I’d say is if you’re just getting back into blogging, you wanna pay attention to warming up your old followers, subscribers, and readers. If you have a dormant blog, you’re gonna have a cold reader, a cold email list, a cold social media following. They’re not as warm to you as they were in the past. They may still think highly of you, they might still remember you, but they might be a bit frustrated that you haven’t been updating, or they may be wondering if you are still alive, or if you are still healthy, or if you’re still interested in them and their topic. They may be feeling a bit abandoned. You may need to just think through how do you warm them up again? Maybe if it’s been a long absence, maybe you need to explain your absence, maybe this might be a time to do a video post that tells the story of your last 12 months. You may not wanna go into great detail if it’s been a health thing but maybe that actually helps to make connection with your audience. If you can tell your story, that sometimes can warm people up. Maybe, now is the good time to create something to give them as a gift. Maybe you’re going to create an opt in for your new email subscribers but you can send it to your old subscribers as well just to say thank you for sticking around. Maybe this would be a good time for you to launch with a series of content that’s gonna get your readers to do something, some sort of a challenge, or content event. These types of content actually are all about not just teaching your readers or not just informing them but actually engaging with them in someway, or maybe you wanna use live video, or more images, or something that’s a bit more personal in terms of the medium itself to warm up your readers in some way. I guess the key thing is if you just need to get back to blogging, you really just need to get back to blogging and you need to start creating content again. The best thing that you can do in relaunching your blog, particularly if it’s just picking up where you left off, is to be as useful as possible to your readers. That’s the first scenario. What I wanna do after I talk about the second scenario is give you 11 more things to think about that will be relevant for you if you’re in that first scenario as well. Hang in there. I’ve got some more that will be relevant for you as well, but is also relevant to people in the second scenario. First scenario, you’re just picking things back up where you left off. The second scenario is that maybe as you answer those questions that I went through earlier, as you assess the current state of play for your blog, maybe you’re realizing that you need to change direction. Maybe your blog became dormant because you lost the passion for your topic, maybe you stopped because the niche changed, the blog wasn’t working in some way. To just start up again in the same way that you ended it is probably gonna end up leading to the same kind of results. Maybe as you’re doing the assessment, you realize you need to change the way you approach a blog. You need to pivot in someway. The second scenario is about pivoting your blog. I think in most cases, a pivot is probably a good idea. These things were really firing in the past and you can just pick things up again and keep them firing. You’re probably gonna change it if you’ve had a break from blogging. You’re probably gonna find, if you’ve had a break from blogging, that you need to pivot in someway. There are four different ways that you might wanna consider pivoting your blog. Changing things up to hopefully get slightly different results from what you were doing in the past. Firstly, you might want to pivot your topic. Maybe you want to completely change your topic, or maybe you just wanna make some smaller evolutions and pivots in your topic. There are a few different ways of that you can do this. Firstly, you might just completely change it. Maybe you had a photography blog and you wanna start a blog about blogging. Maybe you had a fashion blog and you wanna do a blog about travel. They’re completely different topics, in which case you’re probably better off to start a new blog completely rather than relaunch it. Unless you had a domain that’s kind of relevant to both topics, you’re probably more thinking about a new blog and you might want to check out our Start a Blog course to do that. But in most cases, the pivot that people make is actually more of a tweak and there are a few ways that you can tweak your topic to bring you new life for your blog. Firstly, you might want to narrow your topic. For example, and I’ve used this example in the past, Donna Moritz who we talked to in episode 117, narrowed her focus. She used to have a blog that was on all things social media that was not really that different to all the other blogs that were all things social media and so she decided to really focus her blog of the topic of visual content in social media. She talks about infographics, on how to create a visual content for social media. She very much narrowed her topic. As a result of that, she became known as one of the key people that had expertise in visual content for social media. Her narrowing her focus made her stand out from all the other social media blogs and so maybe, there’s a category in you old blog that should become your focus when you relaunch and then you can become the expert in that particular field. I remember when I was getting you to answer questions earlier, one of the questions was is there traffics still coming to your old blog? Do you have a category that still getting lots of traffic? Do you have a blog post that’s still getting lots of traffic? Maybe that could become your thing. That’s a hint as to how you might want to narrow your focus. The opposite of this is that maybe your previous topic was too narrow and you need to broaden it as well. I’ve seen bloggers do that quite well as well. They might have had just a blog that was about printers and they got bored with that topic and so maybe they want to broaden that out to other related technology type topics as well. A second way that you might wanna pivot is to change the perspective that you’re blogging from. Perhaps your topic is right, you’re still interested in that topic but maybe you wanna explore using a different voice, or maybe you want to change the intent of your content as well. I talked a little bit about voice in episode 213 so I’m not gonna go into great depth there but in that episode, I talked about this five voices that Jeff Goins talked about and he says that you can use these five voices for any topic really. You can be the professor who teaches. You can be the artist who brings out the beauty in their topic, that story tells. You can be the prophet who tells the cold, hard truth and busts myth. You can be the journalist who is curating and gathering ideas and putting them together in stories, or you could be the celebrity, the one that everyone wants to know your opinion, they wanna know what you think about a topic. There are five voices but really, you can come up to any voice of your own as well. You can be the companion who journeys with people around a topic, you can be the mentor, the entertainer, you can be the reviewer, the curator, the storyteller, the guide, the teacher, the thought leader. All of these are different voices and you may actually want to try and bring out couple of those into your blogging. You can dig more into that in episode 213, but this is one way that you might want to consider pivoting your blog. The other way to kind of think about this is to think about the perspective that you come from and the intent of your content. You might wanna tweak that, change that. Maybe your blog was about bringing your readers the latest news in a niche. Maybe you got a bit sick of that and maybe you could pivot to be more of an opinion blog. You’re still talking about them but you’re bringing your opinion into it. That’s a slightly different intent, that’s a slightly different voice that you bring to your blog. Maybe your blog previously was more of storytelling and you wanna bring in some more reviews. Maybe this is about completely changing your voice or maybe it’s just tweaking things as well. An example of this was my original photography blog which used to be a review blog. Back in the day, 2004, I had these camera review blogs. I was reviewing cameras. I got completely sick of it. I got burnt out. It wasn’t something I was passionate about and so I decided to pivot that blog and to start teaching people how to use their cameras. This was, for me, a big change. I changed my domain, I changed the older content and really that’s when Digital Photography School was born. For me, it was a big pivot. But you might just want to tweak your voice. Maybe it’s about adding in new types of posts to sit alongside of the old types of post. It’s really important to think this through before you relaunch your blog. A third way you might wanna consider pivoting is around the medium. Maybe you previously had a written blog, but you wanna launch it to explore using more video or maybe you wanna use audio or more visual content, or do more live shows. This could be a complete shift. You might change from having a written blog to having a podcast or a video blog or you might just wanna add the new medium into what you’re doing. Like we do on ProBlogger, every week we publish a blog post, a podcast, and a video. Maybe you just wanna change the mix of the mediums as well. The fourth and last way that I’ll talk about pivoting your blog is to change up the audience and to focus on serving a different type of demographic. This is something I’ve seen a number of bloggers do over the years with real success. I get it. Similar to narrowing your focus, instead of just having a blog that brought everyone in your topic, you might wanna focus in on being a topic blog for a certain demographic. Instead of just being a travel blogger and trying to write general travel advice, you might wanna reposition your blog to be a blog that has travel advice for retirees, or for families, or for single women, or for gay men. You can think about your topic for a particular audience and this makes your content much more useful for those individual types of people. It may sound a bit dangerous. You’re narrowing your potential audience down but it’s gonna make it more so much attractive to anyone who is from that kind of demographic and your content is going to be able to be more focused as well. It will probably impact your design, your branding, and all of these things as well. There’s four ways that you might wanna pivot your blog, it’s the topic, the perspective or voice that you’re writing from, the mediums that you use, and potentially, the audience that you’re trying to attract. You may be wanting to just pivot in one of these areas or you may actually wanna pivot in a few. You might want to narrow your topic and narrow down to a particular demographic, and to change medium slightly and to use a different voice. Maybe you want to do all of those things, or maybe your pivot is just in a couple of this areas and in quite small ways. But I think it’s well worth considering. Particularly, if you’ve been blogging for a few years, you’ll probably find that things in your niche have changed quite a bit. For you to just go back to blogging in exactly the same way may not connect to its readers quite so much. One of the things that we all are aware of is the internet is changing a lot. We’re seeing a lot more video, we’re seeing a lot more visual content. Changing the medium can really work a bit and we’re also seeing more focused content, and more focused sites as well. I’ve noticed, over the last few years, people focusing in on serving narrow niches of demographics as well. There are a few things to consider as you relaunch your blog. Can you pivot things a little bit? You will also find as you pivot, sometimes that will give you a bit more passion for what you’re doing as well. You’re not just getting back to the same old thing you used to do, you actually got something new to learn and that can keep you fresh as well. Once you’ve worked out, if and how you’re gonna pivot, you’ll probably need to consider a few other factors. One of the biggest things you need to consider is whether you need to find a new domain or name for your blog. We’ve previously talked about domain names and how to choose good domain names and I’ll link to that particular episode in our show notes. But for some people, this pivoting that you’re going to do is going to mean you just have to change your domain. This is particularly if you are changing your topic completely, maybe you’re going from being a travel blogger to a fashion blogger and your old domain just doesn’t suit you at all. In that case, to keep that old domain is just gonna confuse your readers and it’s gonna confused your brand as well. Effectively, what you need to do if that’s the case is you’re almost starting a new blog and as I said before, that Start a Blog course the we’ve just released will be useful to you. But in many cases, the old domain you already have can work. Particularly if you’re only just changing the medium, or the audience, or the voice, or the topic in a slight way, or if your domain was a more of a general domain, or maybe it was your name, darrenrowse.com, I can change darrenrowse.com into any direction really I guess. That’s one of the advantages of having your name. Keeping the domain of course is good in some ways because it does help you with search engine optimization, any past links coming into your site is gonna help you to rank higher for the future as well. It may also be helpful because you’d be able to keep your previous social media accounts but I just wanna emphasize, if it’s going to cause too much confusion to keep that domain and change things up, sometimes it’s better just to have a clean break. That’s what I did with my photography site in the early days. The domain that I previously was using just wasn’t right and Digital Photography School was a much better name for this new blog so I bit the bullet and I change things up. It felt really scary to do that and it did mean I was starting from scratch a lot more but in the long run, it did really help me a lot. If you are changing domains, then you could keep that previous domain up as an archive of your previous work and maybe have some links on it to what you’re newly doing or what you’re doing today. You might wanna even forward that previous domain to the new one. Anyone who arrives on that past one is gonna end up on your new site. Again, you probably wanna really think through the user experience that your readers are gonna have. If your old blog is on one topic and the new one is on a new one, it’s probably no sense in forwarding people from one to the new one because it’s just gonna annoy them, really. It’s gonna be hard to bring those old readers across as well. Hopefully, you’ve worked out whether you’re doing a pivot or whether you’re just restarting what you’ve previously doing. No matter what the scenario you’re in of those two options or if it’s something in between even, there are still other things that you want to think about. What I wanna do is finish off this podcast with 11 other things that I’d be focusing my attention on as I was relaunching my blog. These are the 11 questions that you can ask, 11 things that I think you should be working on, particularly in those early days of doing that relaunch, before you do the relaunch, and in the first month or so as well. I will say up front that most of these things are actually included in the 31 Days to Build a Better Blog course as well and if you go and have a look at that, you’ll see a lot of these things are mentioned in the outline. First thing I’d be thinking about are your goals and objectives to your the blog going forward. Don’t just think about the topic, but what are you trying to achieve with the blog? What do you want it to lead to? Are you trying to build income? Are you trying to open up opportunities like landing a job or a book deal? Having this really thought through, what is it you are trying to achieve will help you in in so many ways. You will inform the content that you create the way you design your site the construction that have. What are those goals and objectives going forward? You don’t have to write a thesis on this but actually having them clear in your mind is really important. A second thing to consider is how will your blog change you readers’ lives? If you’ve been listening to my podcast for any time now, you’ve heard me talk about this time and time again. For me, it is the key to success for blogging, having a blog that is gonna change people’s lives. Having a dream for what you wanna achieve with your blog is one thing but what is your dream for your readers? What’s in it for your reader? Get laser focused on that. How are you gonna change your readers’ lives? This will come out in the content that you create in the way you design your site as well. This is a really important factor to consider. All of your content should really be focused upon bringing about this change in some way. Third thing to think about is to start generating ideas for content. This is pretty obvious. A blog without content is not a blog. Many bloggers, this is actually why the blog becomes dormant. It’s because they struggle to come up with new ideas. Before you get back into blogging, spend as much time as you can on generating ideas for content. Map out the next few weeks, the next few months, the next few years. I’ve seen a lot of bloggers recently mapping out a year of content ahead of time. This is particularly important if the reason your blog become dormant is because this was a struggle for you. If you know this is a struggle, put a lot of time into this, get some friends involved in it as well. Survey any past readers that you have to find out their questions. Dig into the archives. Look at what did well in the past. They can give you ideas as well. Speaking of those archives, number four thing that that I wanna encourage you to think about and I mentioned this at the top of the show, is to build your archives up and to build upon your archives. If you’re not changing domains and are simply starting your blog again with minor changes, you wanna think really carefully about your previous content. Do an audit of what you have in your archives and once you’ve done that, be ruthless about deleting anything that is not serving your readers anymore or updating it. If you’ve got old posts that dated, taking your readers against the change you’re trying to bring about in their lives in some ways, delete them or update them in some way, or forward them to other articles that you’ve written. Pay attention particularly to any post that’s getting significant traffic. I would be identifying your top 10, maybe your top 20 or so posts that are still getting any traffic and make them more visually appealing, make them more scannable, optimize them for search engine optimization. Think about the calls to action that you have to get new subscribers. Think about could you do a follow up post? Could you add a link to further reading? Could you repurpose that content in someway? It’s really important. Those posts that are doing well already, leverage them. Update them. Make them even bigger, make them even better. It’s really important to focus upon that. That’s probably the number one thing I’ve been doing out of all the things that I’m mentioning here. That’s number four. Number five is think about the editorial calendar going forward. You’ve brainstormed the ideas but actually get those ideas into some kind of a calendar. When will you publish them? How often will you publish? What mediums will you use? You might wanna come up with a weekly format. Monday is gonna be a blog posts and it’s gonna be a tips article. Tuesday is going to be an audio post. Wednesdays might be a link post to someone else. Thursdays might be a review that you do. It really doesn’t matter whether you publish everyday but actually think about the types of posts that are you going to publish. Put topics alongside them in a calendar and suddenly, you’ve created yourself an editorial calendar. It’s so important to do that particularly if you struggled with keeping your blog going in the past because you had issues around planning. Number six is to do some analysis on where your readers are going to come from. If you’ve already got some readers coming in, do some analysis on where they’re already coming from. Also begin to think about how am I’m gonna grow my readership. That’s really important as you launch your blog, as you relaunch your blog to think about could you do some guest posting? Should you be interacting in forums or Facebook groups? How can I be useful in these places? What other influences in the niche do I wanna network with? Maybe it’s been a few years since your blog was active. Maybe you need to introduce yourself to some of the new players. Maybe you need to reestablish contact with some of your previous friends in that particular niche. What events will you attend? Doing some analysis on where your readers could come from and how you’re going to grow your readership is really important. Number seven point is kind of related to number six. Identify which social networks you’re going to focus your attention on. Things have probably changed in your space. We’ve had Snapchat come out. We’ve had Instagram come out. We’ve had all these different social networks come up perhaps since you previously were blogging. Do they present some new opportunities? Have people moved from one network to another in your particular niche? Identify the one or two that’s gonna be your primary focus. Make sure you’ve registered all the accounts that you need to. But then, come up with a little strategy of how you’re going to use those social networks going forward. Tip number eight is to start creating content. I would be focusing upon pillar content first. This is sort of that evergreen content that is going to be really, it’s what the rest of your blog is going to be built around. It’s your pillar content. It’s that evergreen content that you’re gonna refer to time and time again. It’s what you stand for. It’s your core teaching. On Digital Photography School, it’s my post around aperture, shutter speed, ISO, these key components of photography. As you relaunch your blog, go back and look at the previous pillar content but also are there new pieces of content that you need to write first. Think about that evergreen content because that evergreen content is the type of content that’s gonna payoff for years to come. Deliver as much big value as you can with your early posts. Tip number nine is to think about your list. If you’ve previously collected emails, how are you gonna warm that list up again? How often are you going to send emails? How are you going to use that list going forward? How are you going to get new emails as well? Again, there are plenty of content in our podcast archives on growing your list. We’ve got some more coming up for you in the next little while, but begin to put some thought into that in those early days. Number 10 thing to figure out is your blog design. Maybe it’s been a couple of years since you’ve been blogging. Things have changed in the blogging space. Blogs look different now to what they used to look like. Do you need to update it? Do you need to change that logo? Do you need to lay it out differently? Is your blog mobile friendly? It’s so important these days, most people are looking at your blog probably on their mobile phone. Is it viewable on a mobile phone? You may need to give things a refresh in that particular area. The last thing I’d encourage you to think about as you’re relaunching your blog is how are you going to use your time going forward? This, again, is one of the reasons that so many bloggers become dormant, is that the blogger is struggling with juggling life and their blog and all the things that come along with having a blog. Actually thinking about how much time do I have that I can give my blog and what am I going to spend that time on? We all have a limited amount of time and we are much more productive when we think ahead of time about how we are going to use that time. Make a list of what you need to do, and look at the available time that you’ve got, whether its one hour a week or whether that’s 40 hours a week and begin to prioritize the things that need to happen and plug them into a calendar. This is what I do. I have a weekly template. I know on Monday mornings that I’ll write content. On Tuesday mornings, I’ll record a podcast. I know when things are going to happen and as a result, I’m so much more productive. 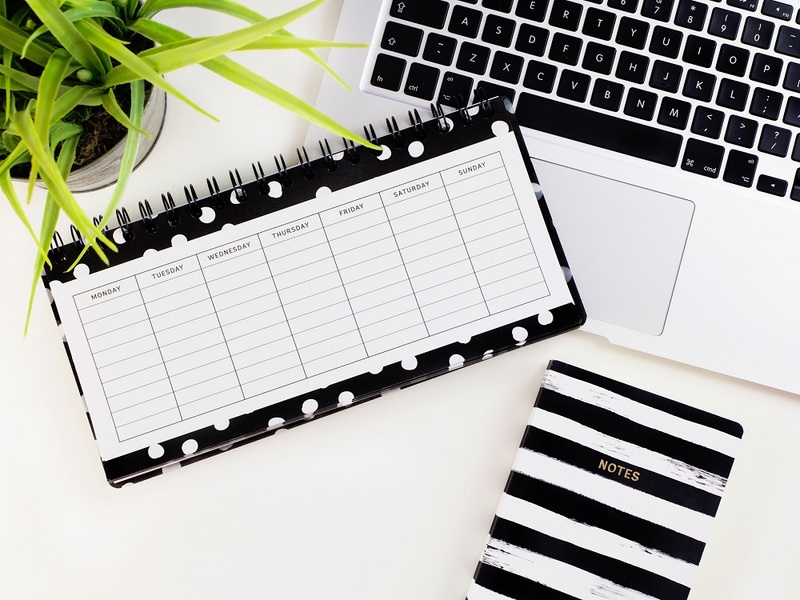 Even if you’ve only got two or three hours a week to do it, you can fit a lot in if you’re sensible and proactive about planning and arranging your time. Those are 11 things. That will be in today’s show notes as well. These are the kinds of things that I’d be thinking about if I was relaunching a blog. Ultimately though, the success of your relaunched blog is gonna be determined on what you do over the coming months and years. It’s the accumulation of the content that you create. It’s the accumulation of the value and usefulness that you deliver and the engagement that you have with your readers. Prioritize those things first. Content creation. Promoting your self, engaging with your reader. Creating value. They are so important. To help you with this process, we are in that final stages of putting together our brand new course that I mentioned at the top of the show. 31 Days to Build a Better Blog. It really is designed to help bloggers to kickstart their blogs whether they are new blogs relaunching a blog, or established blogs. The course is launching in March. We’ll give you the dates in the coming weeks. As the name suggests, it’s a 31 days course that will give you 31 days of teaching but more importantly 31 things you can do to make your blog better. It’s all about helping you to think through the kind of things I just ran through. Things that will help you establish good habits and routines for your blog. Things that are gonna help you to build the asset of your blog’s archives to grow you readership and to turn those readers into true fans. I’m so excited about this new course because I know in the past, 31 days to Build a Better Blog is an ebook and as other series of content have helped tens of thousands of people and so I just know this course will help people as well. You can head over to problogger.com/31days to be signed up and notified when that course goes live. It’s a paid course but we’re keeping it as affordable as we can and if you register your interest now, we will be sending you an exclusive early bird discount in the coming weeks, in the lead up to that. Again, that’s problogger.com/31days. I really hope this has helped. It’s been a long one today, I know and it’s been a lot to digest so you may wanna head over to the show notes and dig into the transcript that I’ve got there for you and some further listening that I’ve got for you as well. Today’s show notes are at problogger.com/podcast/234 and for the next little while, at least it will be on the front page of ProBlogger as well and at the top of your iTunes feed as well would be the podcast but you’ll be able to find the show notes there as well because I noticed the other day the show notes are appearing in iTunes if you click on the avatar, at least they do for me. I hope you found some value in today’s show. Do check out 31 Days to Build a Better Blog. Register your interest for that and I can’t wait to set that one live in March for you as well. Thanks so much for listening today. Again, today’s show notes, problogger.com/podcast/234. Thanks for listening. Chat with you next week. Before I go, I wanna give a big shout out and say thank you to Craig Hewitt and the team at PodcastMotor who’ve been editing all of our podcasts for sometime now. PodcastMotor have a great range of services for podcasters at all levels. 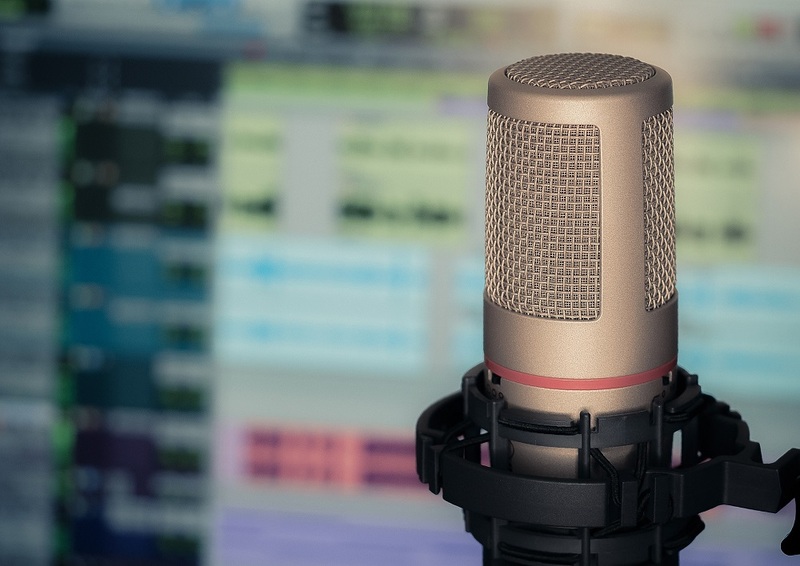 They can help you to set up your podcast but also offer a couple of excellent services to help you to edit your shows and get them up with great show notes. Check them out at podcastmotor.com.